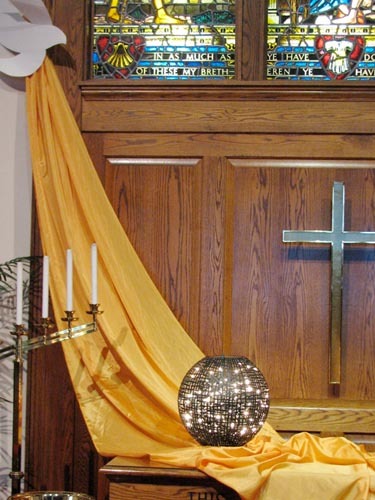 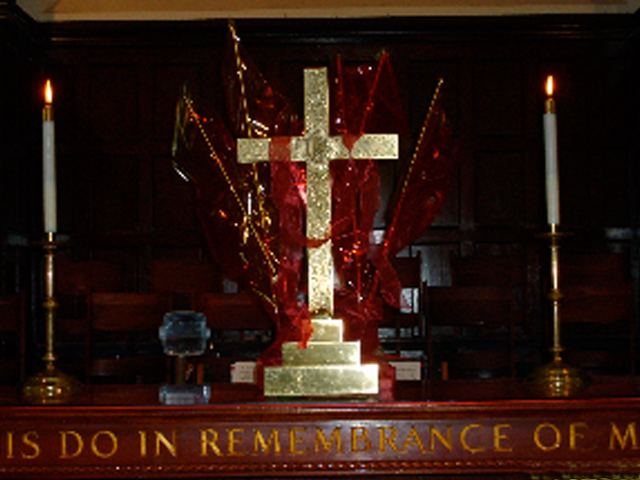 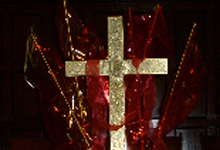 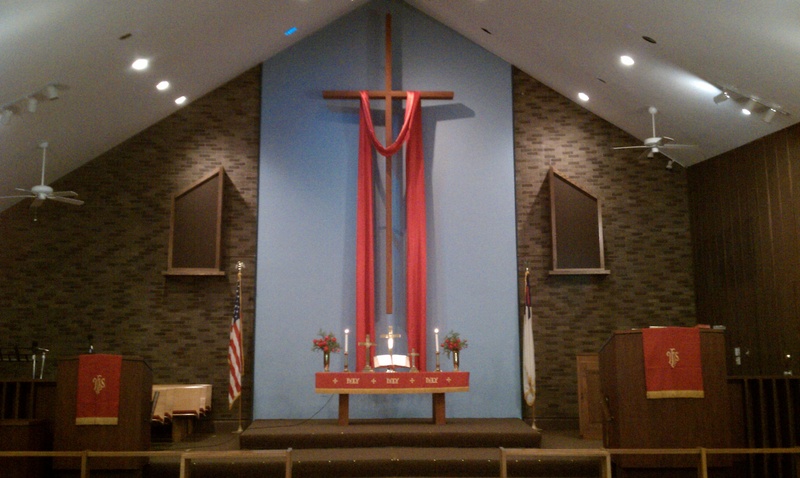 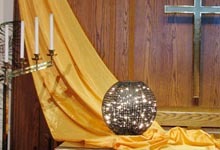 Mary Taylor UMC's Pentecost altar setting. 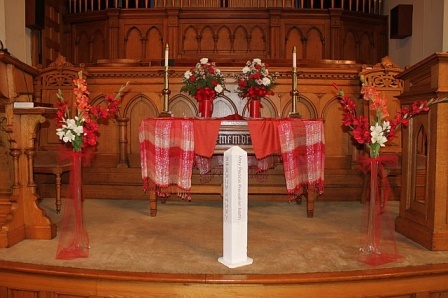 The peace pole in front is a model of the one we'll be installing on our property. 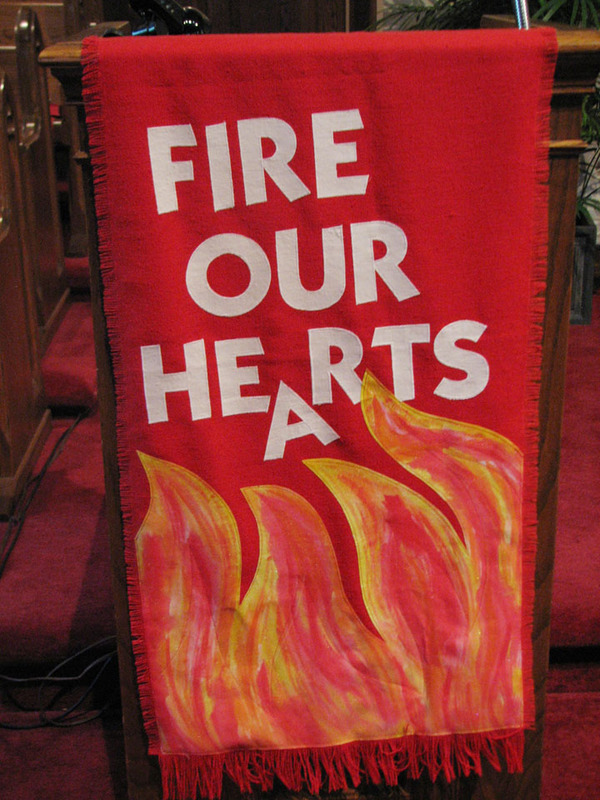 Right, Rev. 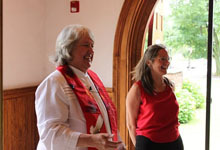 Virginia G. Carle with the liturgist for the day, Beth O'Brien. 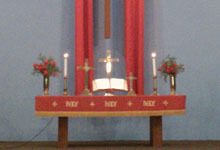 The whole congregation wears red that day.